Emile Zola (1840 – 1902) was born in Paris. His father was an Italian engineer, who became a French citizen in 1862. Zola spent his childhood in Aix-en-Provence, southeast France. When he was seven, his father died, leaving the family in poverty. In 1858 Zola moved with his mother to Paris. In his youth he became friends with the painter Paul Cezanne and started to write under the influence of the romantics. To survive he held odd jobs as a clerk in a shipping firm and then in the sales department of a publishing house. At that time he started writing literary columns and art reviews for newspapers. Later he became a political journalist. Opinionated and of fiery temper he got in trouble for his writings. An autobiographical novel got him fired. According to some speculations, Zola’s enemies blocked the chimney of his apartment, causing poisonous fumes to build up and kill him. Naturalism eventually faded after Zola's death, yet it had a profound influence on American writers such as Stephen Crane, Upton Sinclair, and Theodore Dreiser, whose novel Sister Carrie is viewed as a naturalistic novel. For most of his adult life, Zola showed an interest in science, and he was well-versed in the natural selection theories of Charles Darwin (1809-1882), the theories on heredity of Prosper Lucas (1805-1885), and almost as importantly, the experimental method of Claude Bernard. Therefore, he felt qualified to apply his own ‘experimental method’ to literature. In fact, Zola’s ambitious goal was for literature to become a scientific occupation. 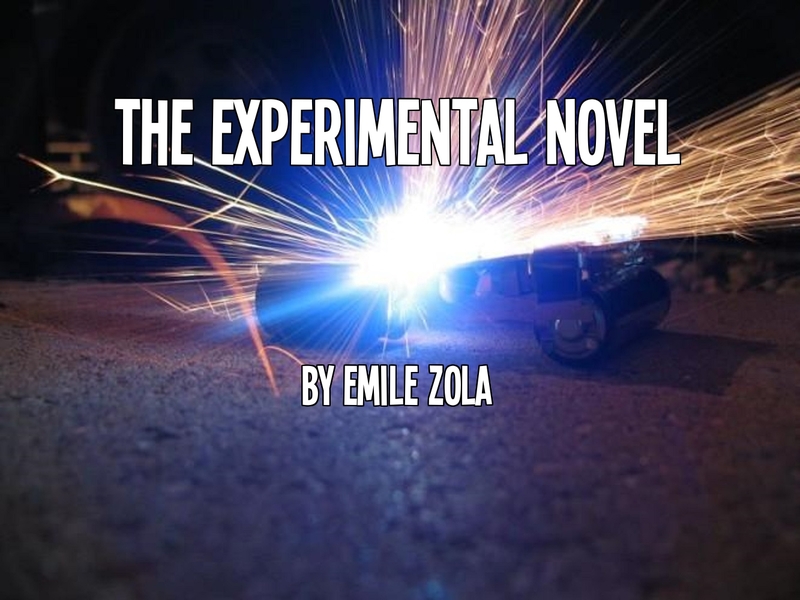 In writing his essay The Experimental Novel, Zola wanted to prove three main points: First, that Claude Bernard’s experimental method could be directly applied to literature. Second: to distinguish naturalism from realism and romanticism by use of the experimental method. Third: to counteract criticism from those who called his work immoral. Today, the essay itself remains as a sober experiment in scientific writing. It proposes hypotheses or premises, attempts to prove them by authority, deriving —what seemed to him— scientific conclusions. Whether one agrees or not with his ideas, the fact remains that many of his points —though bizarre at the time— wee ironically prophetic. 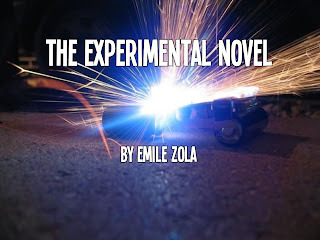 Comments on "Emile's Zola TheExperimental Novel"